Many of us are obsessed with the Harry Potter franchise, and would do almost anything to have the most immersive wizarding world experience possible. Amazingly for Hagrid fans, you can now rent a holiday cottage which is inspired by the fictional home of Rubeus himself, Keeper of Keys and Grounds at Hogwarts. 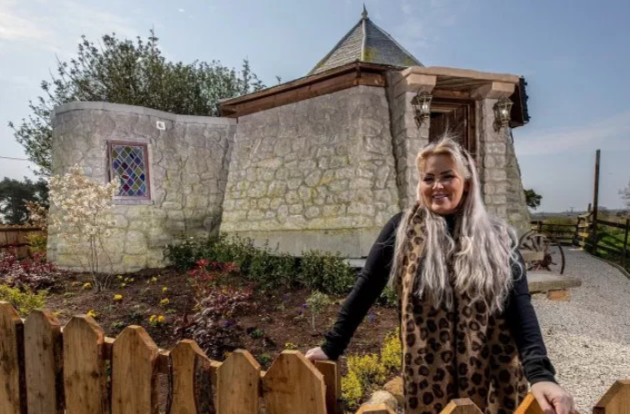 The Groundkeeper’s Cottage has recently opened at North Shire near Saltburn on the edge of the North York Moors National Park, and is almost exactly a replica of Hagrid's Hut in the magical series. With International Harry Potter Day just around the corner, on May 2, the cottage couldn't have arrived at a better time. 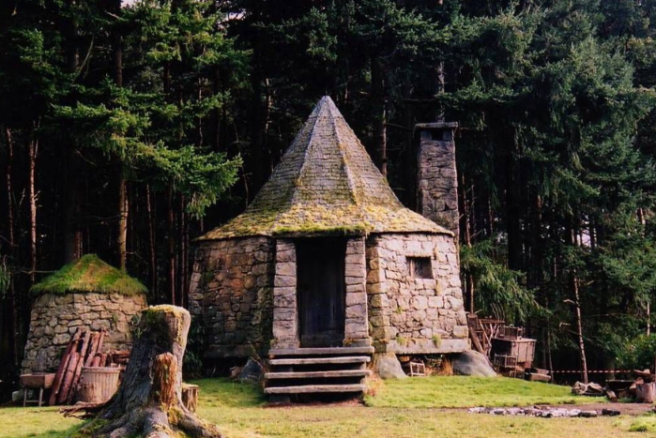 The cottage has three interlocking circular slate-roofed buildings featuring stained glass windows, an open plan living room, seating in front of a feature fireplace, wood beams with Hagrid paraphernalia and a lantern-lit wooden door. The owner Carol Cavendish has loved Harry Potter fan since her early 20s, and has incorporated small Potter-themed touches such as an ink bottle and quill and bespoke copper basin in the bathroom. Grab your brooms and get down there before it sells out years in advance. It seems like we can't escape the nostalgia at the moment, from Westlife and Spice Girls to possible Gossip Girl reboots and Sabrina the Teenage Witch getting a Netflix make-over; we're overwhelmed. Also, what year is it? Because the latest celebrity sighting has us CONFUSED AF. Remember when Stephanie Meyers wrote fan-fiction about randy vampires that became a book and then a massively successful movie franchise which attracted every adolescent on earth? The Twilight Saga had our hearts racing, and our friendships torn apart with our Team Jacob versus Team Edward mentality. Not to mention the whole drama between the in-real-life couple Robert Pattinson and Kristen Stewart. Apparently, Stewart was feelin' the throwback vibes too, because she turned up to Taylor Lautner's birthday party. The pair had an impromptu reunion on Monday, and we're DYING. The old pals, who played Bella Swan and Jacob Black in the cult YA movies, reunited to celebrate Taylor's 27th birthday. Taylor's girlfriend, Tay Dome, threw him a gorgeous surprise party and we really wish our invite hadn't gotten lost in the post. Kristen and her girlfriend Sara Dinkin were among those invited, according to the MailOnline. Taylor wrote a note to his girlfriend on Instagram, captioning it; "Thank you Tay Dome for the best birthday EVER. I’ve never been more surprised in my life." Can you BELIEVE that it's been 10 WHOLE YEARS since Twilight was released in cinemas? Taylor recently paid tribute to the film franchise by sharing a meme of himself side-by-side with Kendall Jenner, and we cried laughing. He captioned the image; "It's been 10 years exactly since twilight was released in theatres. I thought I should take this moment to thank every single fan who has supported the franchise over the last decade but also to thank Kendall Jenner for being my hair inspiration back in 2007." Gas, Taylor, gas. We just wish Robert Pattinson had joined in the fun, but he seemed to hate Twilight anyways. Remember those YouTube clips of the awkward interviews, with R-Patz dissing the series? We had to laugh, the poor man was locked in a contract. At least Taylor and Kristen are still pals? It's so pure. Toy Story 4 is making its big return in the summer of 2019, coming to screens this June, despite the fact that most fans feel a satisfying ending has already happened. The commercially-acclaimed Toy Story 3 ended the franchise on a perfect note, seeing Andy off to college and saying a tearful goodbye to Woody and the gang. 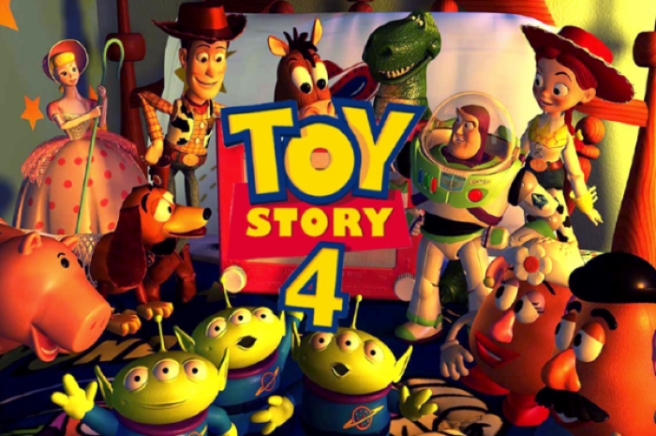 The fourth instalment really does appear to be the finale of the iconic Pixar movies, centring around toys who come to life. In the latest series of teaser clips, Bo Beep has announced her big return to Woody and Buzz' gang, thank God. We love a bitta female representation. Especially when they're wielding a large stick. Tom Hanks, the voice of Woody, has said that he couldn't even look at the rest of the team and cast while recording the ending to the movie. My EMOTIONS. Bo Beep has got a new-look, and she's looking badass AF. They've also introduced two new (adorable) characters, Ducky and Bunny. Famed for their portrayals of Barack Obama and his 'anger translater' Luther, these two will bring some humour to the already-classic franchise. WE CANNOT WAIT. Bring on June 21 2019. Let's not lie to ourselves here, every single one of us will bawl our eyes out during the last season of HBO's iconic fantasy show, Game of Thrones. How could we not? Any character who has survived up until now gets a medal, to be fair, and our favourites could die at any second. The visual effects, the romance, the betrayals, the wars, THE DRAMA. 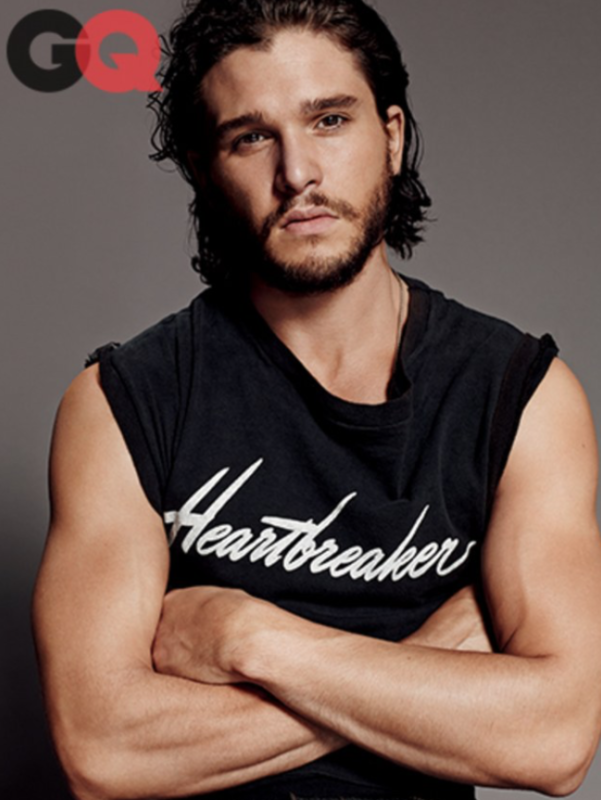 *swoons* Kit Harington, Jon Snow himself, recently spoke to GQ Australia, where he revealed how difficult the final season was to film. 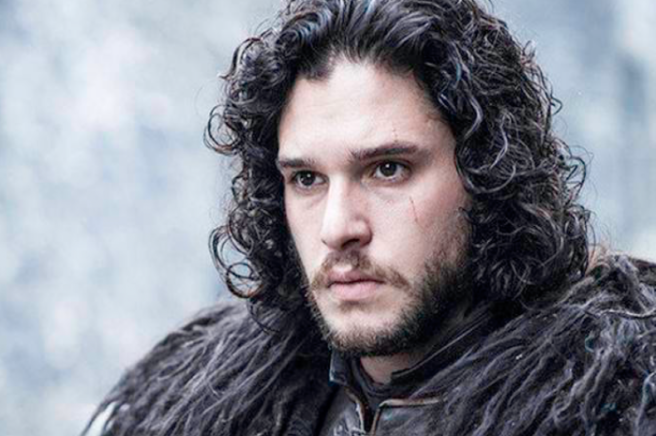 It made Harington cry more than once, but according to the protagonist and infamous member of the Night's Watch, the show "seemed to be designed to break us." 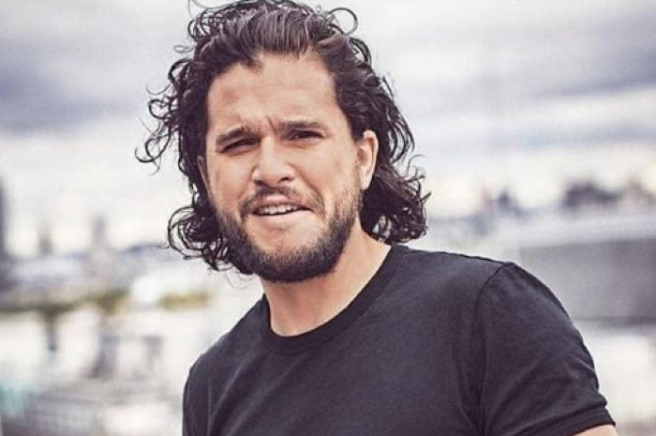 Same here, Kit, same here. "Everyone was broken at the end. I don't know if we were crying because we were sad it was ending or if we were crying because it was so f–king tiring," he divulged to GQ Australia. "We were sleep deprived. It was like it was designed to make you think, ‘Right, I'm f–king sick of this'," he added. We'd crave our beds too. "I remember everyone walking around towards the end going, ‘I've had enough now. I love this, it's been the best thing in my life, I'll miss it one day—but I'm done.'" 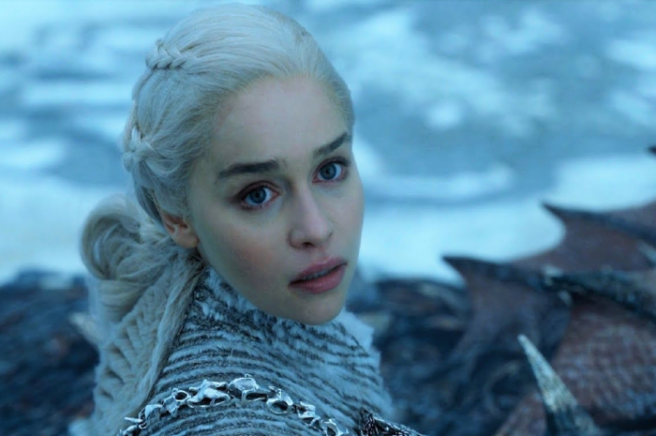 Co-creator of the show David Benioff explained that the lengthy delay between seasons is because of how monstrous a job it is to get the episodes made, especially with the immense visual effects. "The final season's taking a long time because it's the biggest thing we've ever done," Benioff said backstage at this years Emmys. "It was nearly a full year in Belfast either prepping it or actually shooting it. I think when people see it, they're going to understand why it took so long. The last season is far beyond what we've ever attempted before." Richard Pepler, head of HBO, commented he's seen rough cuts of every episode of the final season. Lucky b*astard. "It's a spectacle. The guys have done six movies. The reaction I had while watching them was, ‘I'm watching a movie,'" Plepler told Variety at a Golden Globes party. "Benioff and D.B. Weiss knew the bar was high. They've exceeded the bar. I've watched them twice without any CGI and I'm in awe. Everybody's in for an extraordinary treat of storytelling and of magical, magical production." Details are still pretty (Ned) Stark, however we do know that the BIGGEST Game of Thrones battle ever will take place, and allegiances are shaky AF as the White Walkers march onwards. "And that weight is off my shoulders. It's done now. I can be proud of it. We've got eight seasons, and they can sit on a bookshelf at home 'til the end of time," he said. Many of us by now have noticed the ONSLAUGHT of reboots which have come our way. Between the incessant Marvel movies and comic book sequels which literally will not stop coming, the millions of Spiderman flicks, not to mention the ridiculous amount of Bond movies (25 to be exact). Yes, 25 movies about the same man doing the same uber-masculine assassinations and the same women dying for him and the same villains again and again and again. *Sigh* Even Daniel Craig agrees that good old James is a misogynist. The live-action remakes of every single classic Disney animation, the TV reboots of our favourite characters for no actual reason and the revivals of our childhood bands. It begs the question, is the entertainment industry just profiting off of our nostalgia? Most definitely, yes. When it comes to the Spice Girls, Westlife or Take That, by all means they are welcomed back with open arms. Yet, when it comes to cinema, which is literally CRYING OUT for representation and new voices which are demanding to be heard, why are they using the same old formulas? The point is: a new Batman/Joker combo is not cinematic gold, for God’s sake. A new Pirates of the Caribbean written by the Deadpool duo will not shake the earth. Recent groundbreaking genre favourites such as A Quiet Place, Get Out and Moonlight have pushed the boundaries of cinematic territory and have told stories from new and vital points of view, so why can't Hollywood give more opportunities to scripts, directors and voices like these? Disney: we are going to reboot Pirates of the Caribbean! Isn't that cool?! News recently broke that Shrek, one of the most popular animated franchises of all time, is getting a reboot (pause for gasps). Those of us who grew up with the infamous green ogre and his hilarious sidekick, Donkey, will most likely shudder at the thought of Hollywood studios replacing a beloved film of our youth with a facade, a copy which can never truly replace the original. Others will delight in the nostalgia of creating more content surrounding the comedic protagonist and his fairytale friends, especially since the man behind the reboot, as well as the revival of Puss in Boots, is Chris Meledandri. Known as the mastermind of the Despicable Me movies (and creator of the minions, which have literally overtaken the world and internet memes), Meledandri has been tasked by Universal Pictures with finding some fresh storylines to being the lovable ogre into the modern time. I say modern time as if Shrek is donkeys-years old (yes, I made a donkey joke. Deal with it). 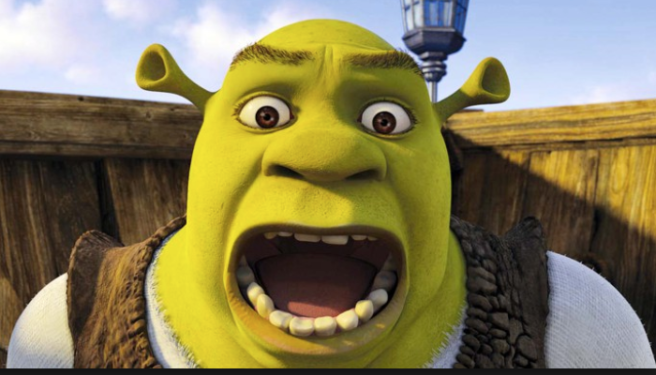 Shrek was originally released back in 2001, making it barely 17 years old. While a lot has happened in technology and film-making in this time, does it really seem necessary to bring back a franchise which has really run its course? After all, Shrek the Fourth only entered cinemas in 2010, and left much to be desired. Studios are so obsessed with maintaining popularity and success of these franchises, that often they completely ruin the essence of what made it loved by audiences in the first place, in this case: comedic integrity. I mean, a storyline about an ogre defending his swamp in a land of fairytale creatures, voiced by Mike Myers, Cameron Diaz, Antonio Banderas and Eddie Murphy? The person who successfully pitched that idea must be incredibly rich by now. “When you look back on those vocal performances they’re awesome, and while you certainly could make a case for a complete reinvention, I find myself responding to my own nostalgic feelings of wanting to go back to those characterizations,” explains Meledandri. “The challenge for us has been to find something that really does feel like it’s not simply yet another film in a series of sequels.” Good luck with that, Mr. Director Whose Film Company Has Just Released A Remake Of The Iconic The Grinch. You paint a highly believable portrait. Hollywood remakes have been saturating cinema over the last decade, and there are arguments to be made for both sides of the tide. If a remake is done right, à la A Star is Born, something special can happen. This is usually a result of some newfangled aspect of the film however, a tweak or drastic change which brings the piece back to life but also gives it a platform in its own right. Lady Gaga, for example, plays the role of struggling artist Ally in a way that makes it impossible to compare her to Barbara Streisand. The songs are also freshly crafted, and impactful in their raw energy, partially due to Bradley Cooper’s directorial talent and surprising talent as a singer. Formerly known as an actor, his transition into musicality and the directorial chair allows the film to reach new heights, as if feels as if we are being introduced to someone who we’ve never really known at all. The Chilling Adventures of Sabrina has also achieved phenomenal success, however there is next to nothing about the show which resembles its predecessor, and it is stand-alone as a result, especially with its sense of ‘woke’ teen angst which is captured almost to perfection. Yet the majority of remakes are arguably just major Hollywood studios tapping into the nostalgia of audiences who are ready and willing to return to the cinema seat to catch any glimpse of their favourite childhood character or storyline in action. Certain remakes adapt the trend with refreshing results; such as the Fargo reboot which was recreated as a mini-series and is widely well-reviewed. An audience is more likely to watch something which they are already familiar with, and if the sense of familiarity is matched with something genuinely unique, truly excellent cinematic gold can occur. Classics are classics for a reason, and taking the formula and twisting it to adapt to a new generation often leads to disastrous consequences. The remake of Psycho, the Great Gatsby (controversial, most people loved the grandeur of Baz Luhrmann yet the power of the written words were essentially erased) and Footloose, for example, need to die a slow death. The endless sequels are also a problem, I mean PLEASE learn to leave it alone. Just because the movie was good does not mean it has to be continued and drawn out until the life is sapped out of it. If there is a new technology, a new actor or actress or director, or scriptwriter who are talented enough to reuse old material and revitalise it, by all means, go ahead. Yet the magic of the true classics cannot be forgotten. The day the news breaks that the Harry Potter franchise is getting a remake, for example, you will find this writer in a pool of her own tears, echoing the chant; “YOU CAN’T DO THIS TO ME!” on repeat. Don’t judge. Daniel Radcliffe, Emma Watson and Rupert Grint were the heroes of my youth, the faces which encapsulated the characters I had fallen in love with page by page. Transforming the series would simply remind me that I am now old enough for my childhood characters to be replaced and made into something new and alien altogether. If they even DREAM of touching perfection like Back to the Future or The Godfather, there will be hell to pay from the ever-protective fanbases. The love most people harbour for that first spark of a film or character which had never been seen before is difficult to rearrange. There are an infinite number of voices in cinema which have yet to be heard; only now are women gaining access to cinematography, directorial roles, production roles and script-writing responsibilities. Only now are people of different ethnic backgrounds, diverse economic circumstances, sexual orientations having their voices heard. Can you imagine how many stories they have to tell? For so long, only the powerful were given the chance to create movies. Creating new formulas which give other people a change to feel represented and tell their own stories would revolutionise cinema. So before we rush to discuss which man will be chosen as the next Bond, which Disney film will be recreated, or which superhero will once again be given a new face, why not look to those who haven’t been given a face, or a voice in cinema? Imitation is the sincerest form of flattery, as the phrase goes, but authenticity is the greatest form of art.